http://flevy.com/blog/wp-content/uploads/2019/01/security-protection-anti-virus-software-60504.jpeg 500w" sizes="(max-width: 300px) 100vw, 300px">Cloud security is a multi-billion dollar industry, with their infrastructure being the main driver of advancing technologies. The growth of cloud technology, and the rate of adoption have shown the popularity of cloud platforms for businesses. The reasons are relatively obvious. Cloud technology allows for greater flexibility, more productivity, and are exponentially more profitable. Cloud technology does this while also reducing costs, and that’s of major interest to business leaders. However, as more businesses transition to cloud adoption, cloud security becomes a clear and present priority. With a variety of access points, cloud security has become one of the most important areas of development for both the cloud platforms themselves and the companies that use them. There are some fundamental differences in the way that you manage your online security when you compare traditional in-house IT security and cloud security. Primarily, this means that due to the fact that employees can make use of a variety of access points to get the data that they need, SSL encryption has become a priority. With access possible from anywhere in the world, this means that cybercriminals have the same potential way into your systems. Focusing on cloud security means balancing ease of use with a high level of protection, with www.mcafee.com one of the big names in the cloud security sector. One of the reasons why many in-house IT experts are wary of cloud adoption is because the security is often managed by the platform itself. This is a major transformation in the way that your IT department functions and many feel uncomfortable outsourcing their online security so totally. That’s why businesses are opting to adopt a hybrid security process that incorporates both the security measures of those cloud platforms with more internal protections in place as well. This allows your IT department to have far greater control over their security measures while benefiting from the robust security measures that are a priority for cloud providers. All IT systems are vulnerable to the ever-increasing number of cyber attacks every year. As these online crimes continue to rise in number, cloud storage has become a common target. This has made some business owners wary of cloud adoption, and it’s easy to see why. The large volumes of data, alongside the shared resources of multiple clients, means that even a small data breach can be cataclysmic. Rather than dismissing cloud adoption, it’s imperative that you not only boost your awareness of cloud security measures, but also ensure that you have adopted in-house security standards that reduce the possibility of staff errors that can leave you vulnerable. Cloud technology has become an essential tool for businesses. That’s why it’s important that you learn all that you can about how those platforms are protecting your data, and what you can be doing to improve on their security measures in-house. 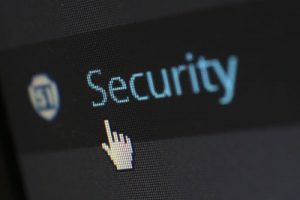 Security has never been so important, and as online data storage becomes the norm, businesses need to catch up with and maintain their cloud security on a regular basis.